Now you can record the whole sorting procedure to *avi videos. Adding -r in command line can get you Re-sampled data. Adding -s in command line can get you Sparse data. 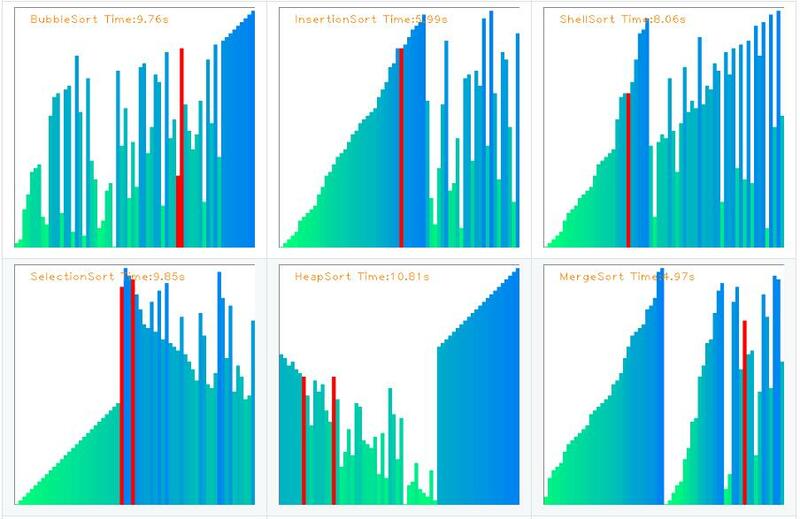 This repository is a demo of visualizing 12 types of Sorting Algorithms. It aims to make Sorting Algorithms easier for programmers to understand. Also, you can see the difference of Time Complexity between different sorting algorithms. -n --no-record: Don't record to *.avi video!